Single Sentence Summary: Captain Jefferson Kidd and 10-year old Johanna travel 400 miles of often dangerous, unsettled, lawless Texas to reunite Johanna with her family. Primary Characters: Captain Jefferson Kyle Kidd – a 71-year old who travels throughout Texas earning his living as a news reader. Johanna – a 10-year old girl who thinks of herself as a member of the Kiowa tribe after living with them for four years. Synopsis: Captain Jefferson Kidd lived through three wars, serving in two. He ran a successful printing business and turned to reading the news in small towns throughout Texas after his wife passed away. His calm, level voice and even temperament earned him the respect of many. Captain Kidd was satisfied with his life, if a bit lonely. Kidd was offered a fifty dollar gold piece to return a girl held captive for four years by the Kiowa to her family in San Antonio. After he reluctantly agreed, the Captain got much more than he could possibly have anticipated. Ten-year old Johanna watched while her parents and younger sister were brutally murdered in a raid by the Kiowa. For some reason only she was spared and then taken to live among the Kiowa. They became her family. Her mother. Her father. Her friends. Their culture became her culture. Their language. Their songs. Their beliefs. The Kiowa were all she knew. Johanna was not happy to be taken from them, and she did not want to be traveling with the Captain. The first chance Johanna had, she tried to flee, but the Captain was vigilant in his duties and soon Johanna was back and the two were again on the road. As the Captain and Johanna traveled the 400-mile journey to San Antonio, they gradually learned to communicate, to trust, and most of all to care for each other. 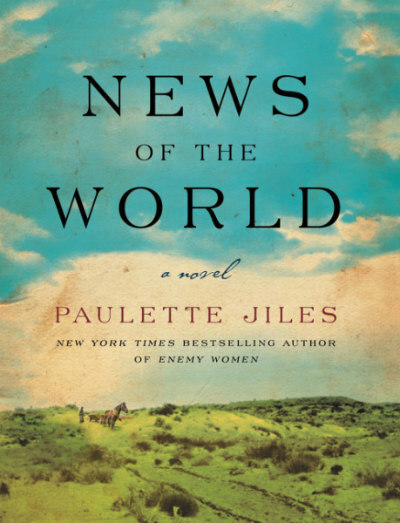 Review: Somehow News of the World, a National Book Award finalist, is the first Paulette Jiles novel I have ever read. That’s probably a mistake on my part because I liked this one very much. It’s a most unique story, rooted in a part of American history that many of us know little about. 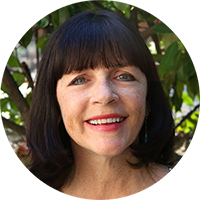 Did you know that most children who lived with Native Americans for as little as a year had a great deal of difficulty when returned to their families? Many longed to go back to their tribal homes. Some starved themselves when returned to their white relatives. I never knew that people with a little bit of education made a living out of going to towns, renting a space and reading news stories to live audiences. But, this story is much more than a history lesson. Beautiful. And, there are so many more passages that I could share. This one has been getting a lot of hype lately…glad to hear you loved it! Will keep it on my radar for after nonfiction november! Great review, Susie! I felt the same way after reading this novel- had never heard of the author before nor did I know much about these children. I thought it was a lovely book (probably not the right word, but hope you know what I mean). I do know what you mean. It’s a perfect word for this book! I enjoyed the book as you saw when you stopped by. I didn’t know what to expect, but it was a delightful read.